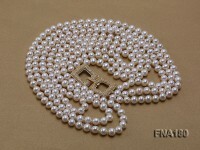 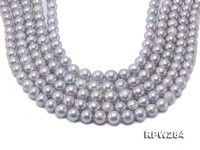 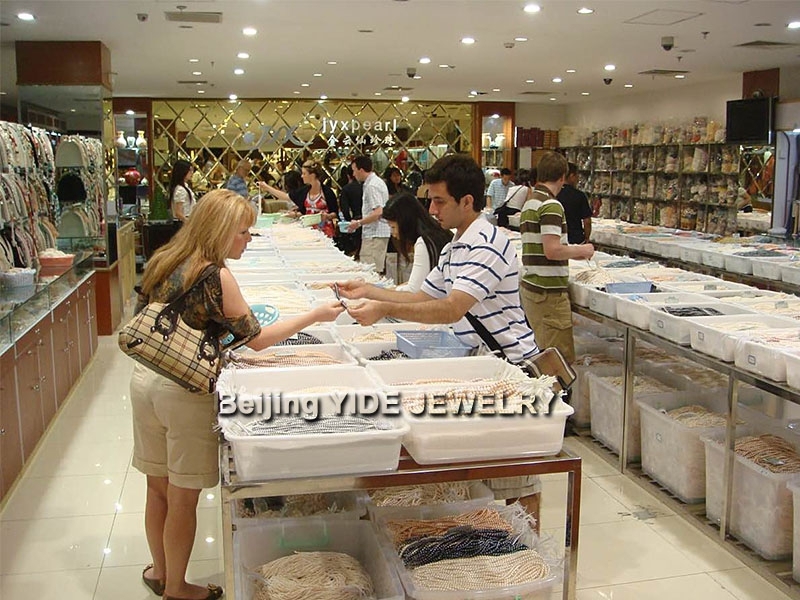 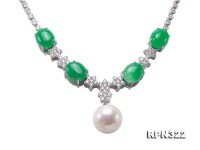 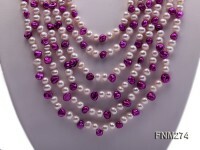 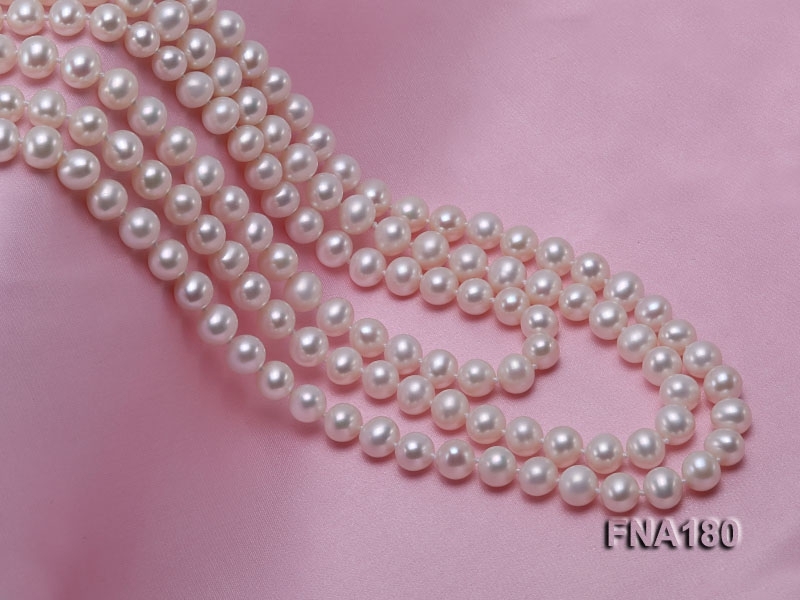 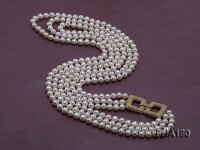 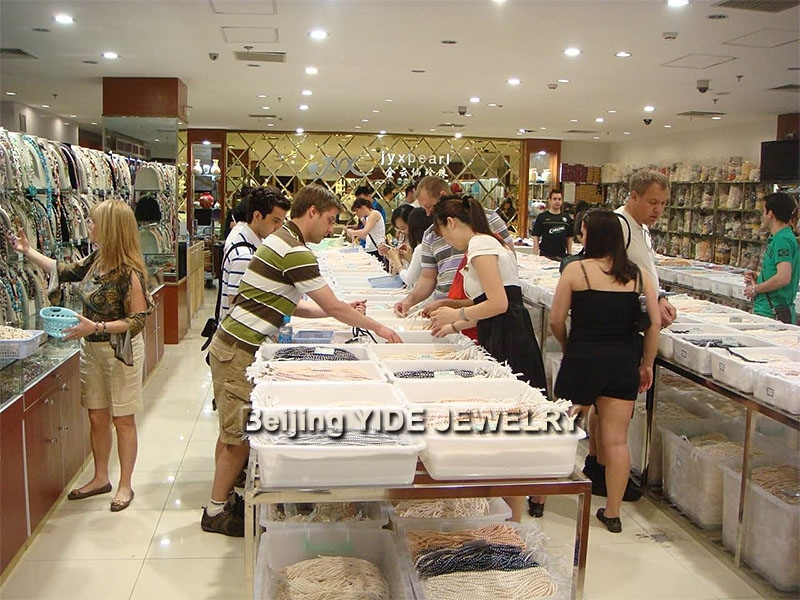 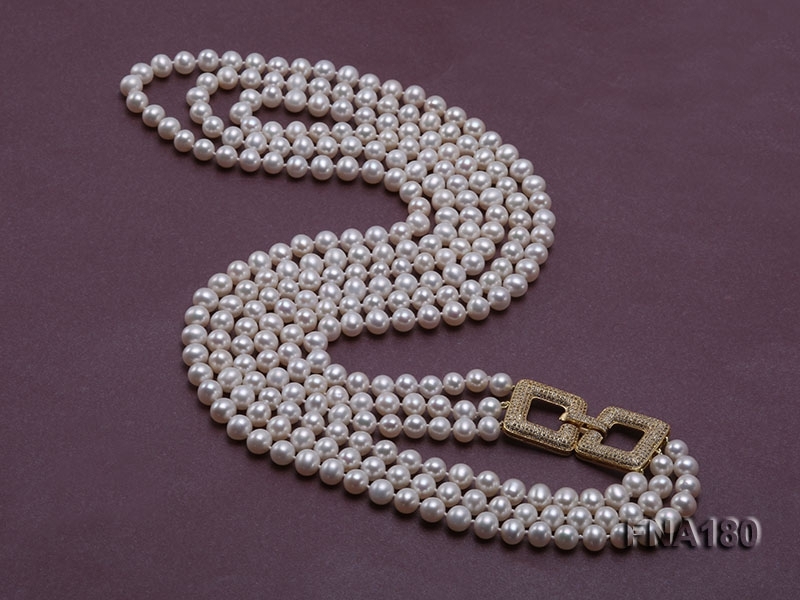 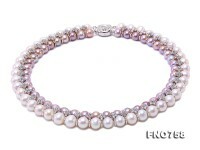 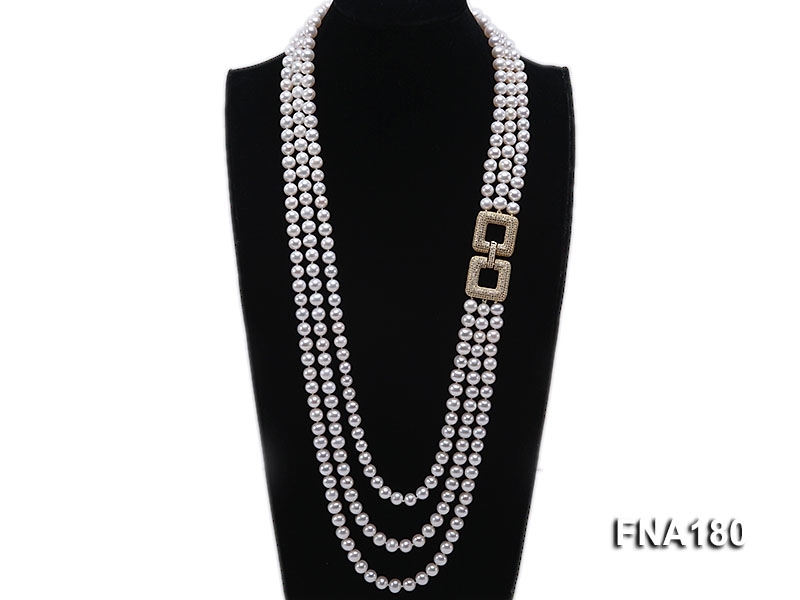 Classy three-strand 8mm white round freshwater pearl necklace for sale. 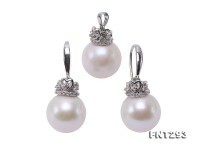 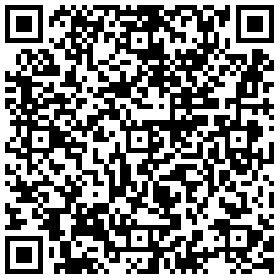 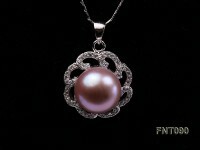 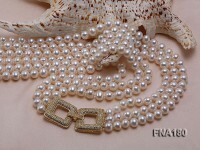 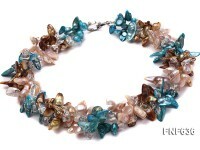 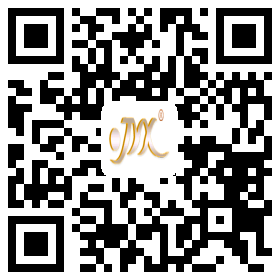 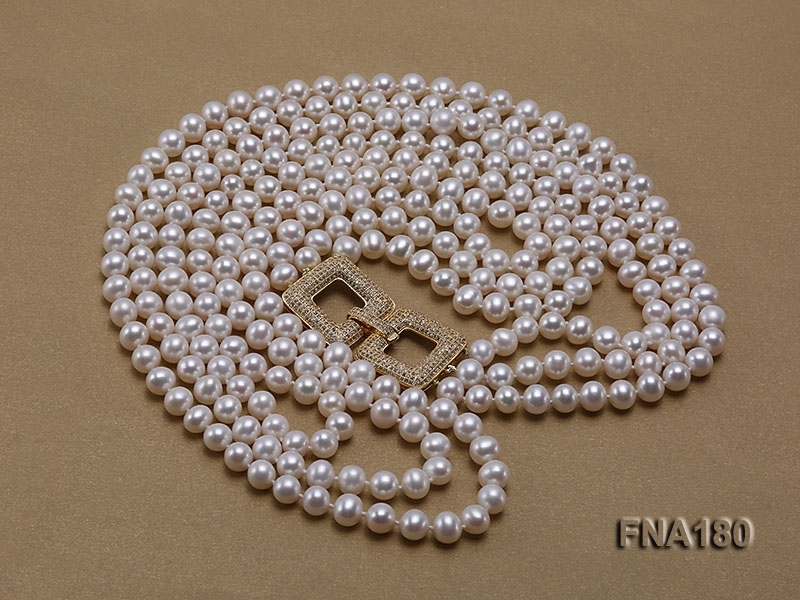 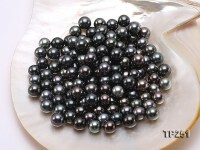 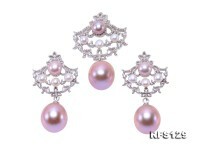 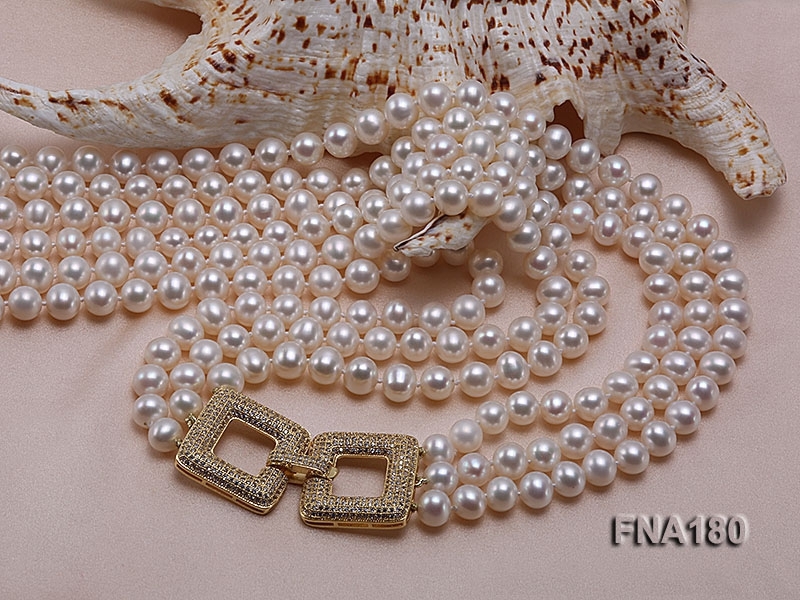 Every piece of pearl is carefully selected to well match with each other from every detail. 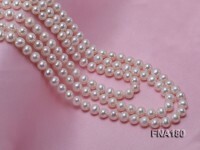 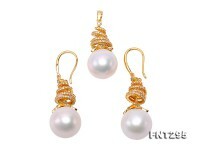 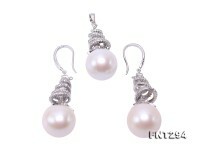 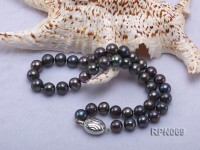 There’s a handmade knot between every two pearls to protecting from rubbing and to present good wearing effect. 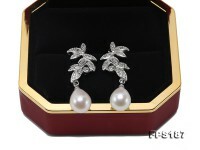 The golden accessory at one side is crafted with solid sterling silver and thickly dotted with shiny zircons. 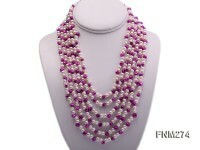 It’s natural to display your intellectuality and leadership at work or your grace and feminity at evening occasions.